Once a parish of Dover settled in 1669 as Oyster River Plantation, Durham, New Hampshire was incorporated in 1732. The name probably honored Richard Barnes, Bishop of Durham, England, the first Puritan bishop. A descendant of an early settler, Benjamin Thompson, bequeathed the family estate, Warner Farm, to be used for establishment of an agricultural college. 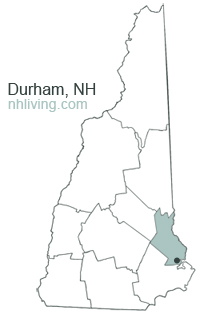 The state agricultural school, originally set up in Hanover in 1866, was moved to Durham in 1890, becoming the University of New Hampshire in 1923. 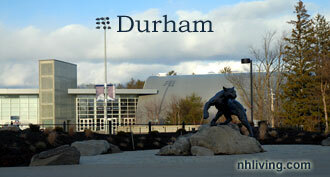 To share any Durham, NH information with us, please contact us. Learn more about advertising in NHLiving.